Not last week, but the week before (49 robbers came knocking at my door… Or however many it was…) we went to the auction at New Mill, near to Holmfirth. We’ve not been attending as frequently as in previous years, but as always, there was plenty to see. 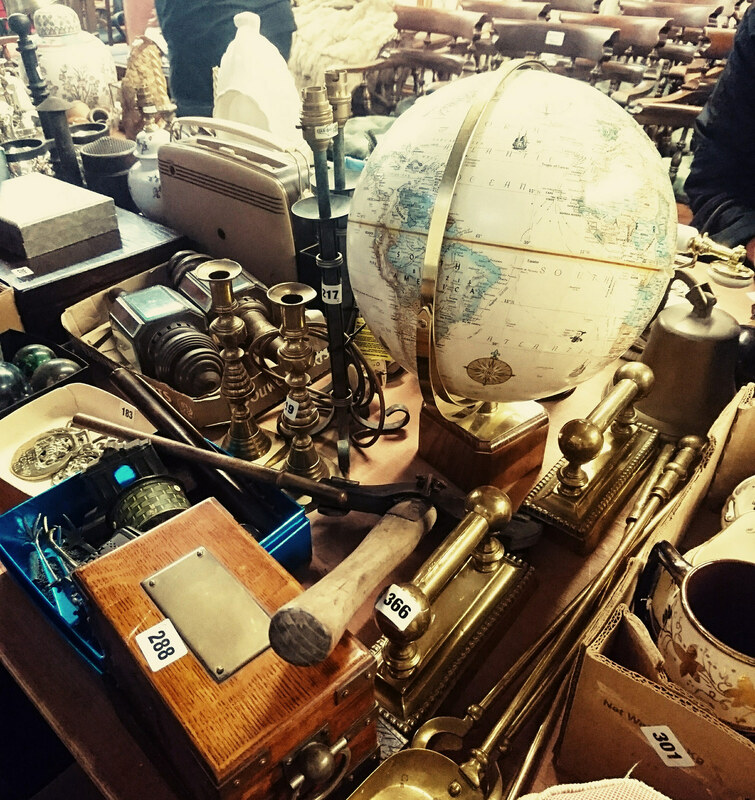 We go to the auction viewing, then leave bids on the bits we’re interested in the most. She couldn’t understand why we couldn’t buy one of them right then. I tried explaining the auction process to her, but she didn’t quite get it. 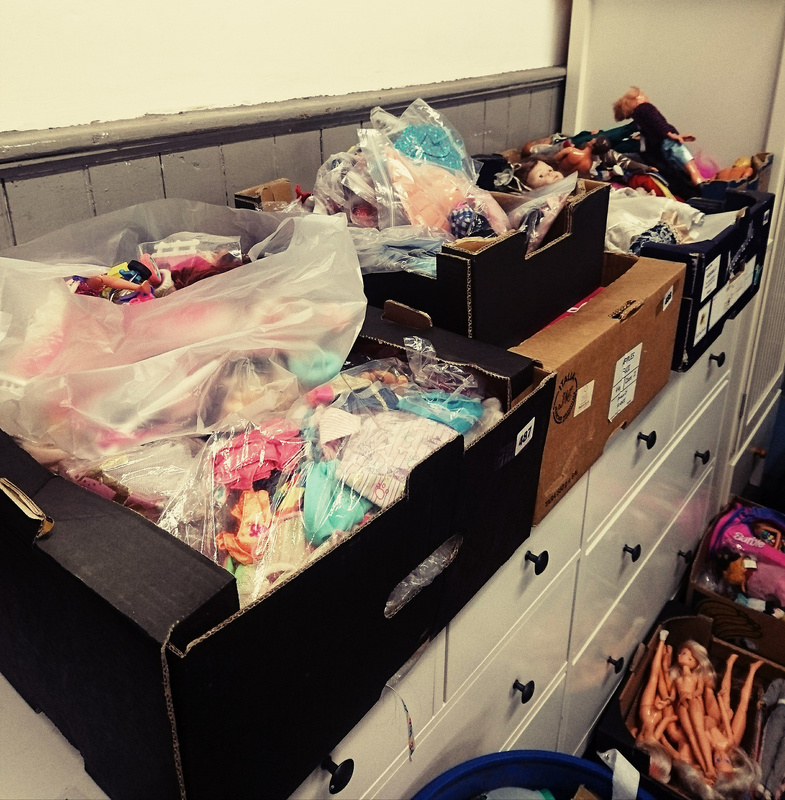 I did leave bids on all of the Barbie stuff there – and actually won about five boxes worth of stuff! Mostly accessories though rather than all of the dolls. It’s going to take much sorting and cleaning before they’re suitable for selling on though. And did leave a bid on them, but didn’t win them. Not sure if I would have kept one as we would never use it, but they did look good. Again, not sure what I would have done with these but they did look good. 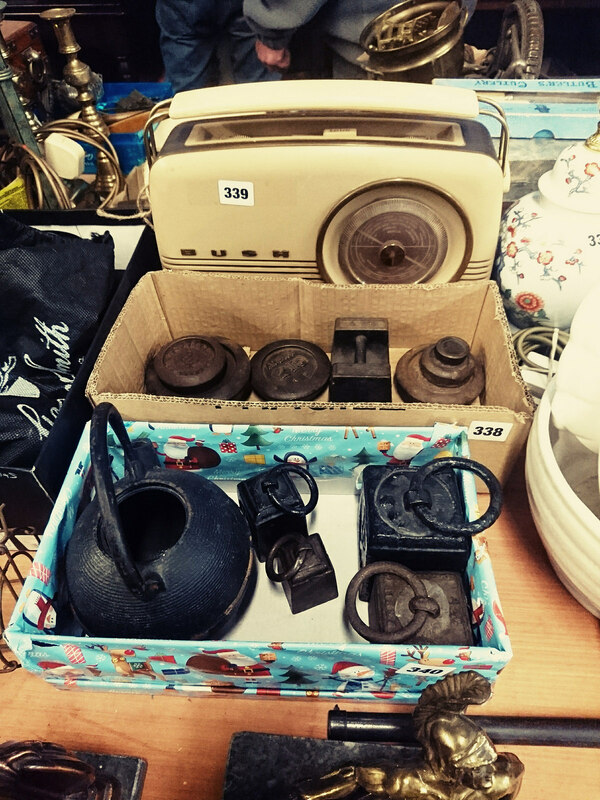 If I had an old style kitchen (and not our current one, which is old but there’s definitely no style to it) I think the weights and radio would work well on a shelf somewhere together. As well as the vintage Barbies stuff, I also won some old ladders. 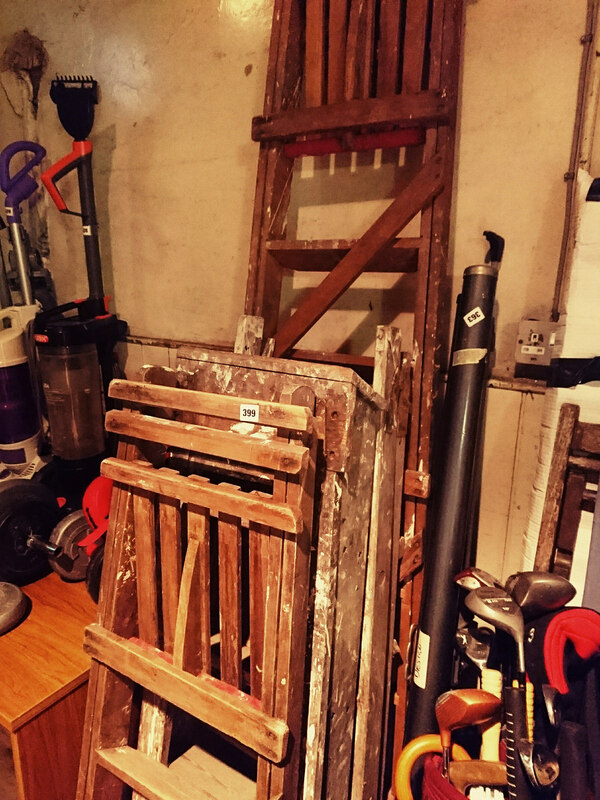 Two of them are genuinely really nice old ladders, with a manufacturer’s label on that looks Fifties. I’ve sold one pair already and I’m hoping I’ll sell the others too. Step ladders seem to be popular at the moment for weddings and garden displays, but they’re a pain to store! 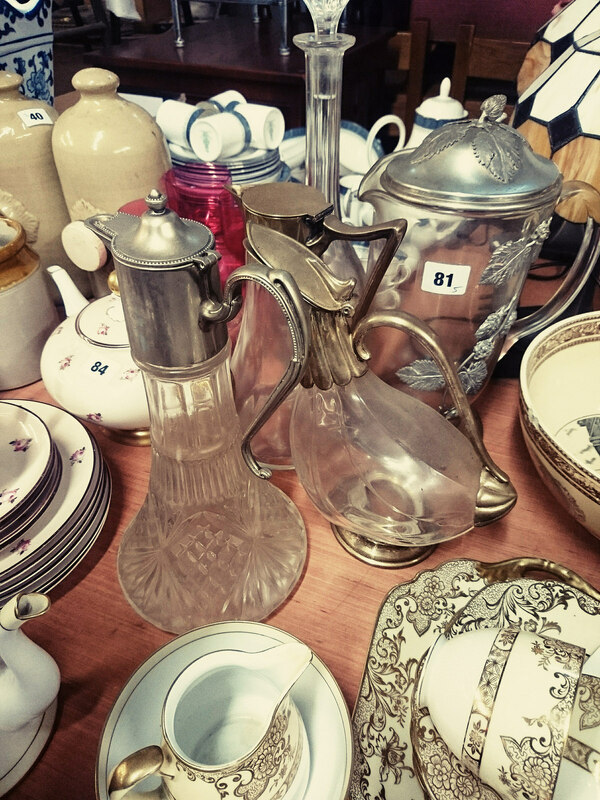 I think there’s another auction on a couple of weeks after we come back from our holidays, so fingers crossed for some more interesting bits to find and buy. It does amuse me, the random things I sometimes come away with. 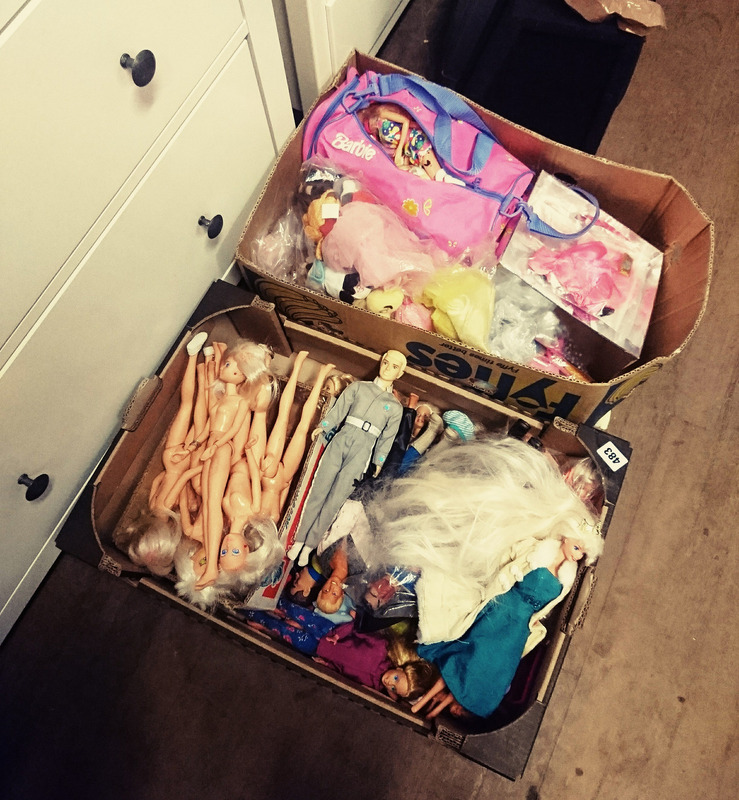 Barbies and step ladders are a good example!